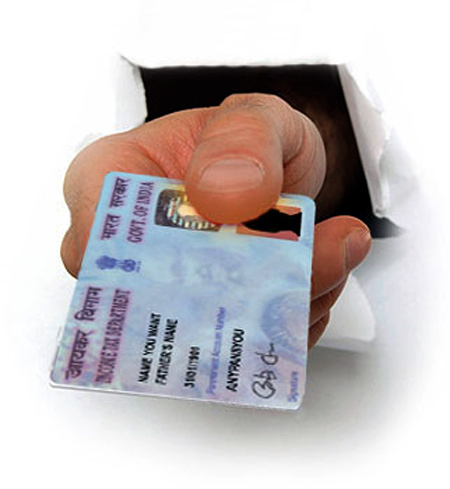 Taking serious note of a foreign national obtaining a Permanent Account Number card by claiming to be an Indian citizen and using it to open two bank accounts, the Bombay High Court has summoned three senior Central government officials to appear before it on January 8 to show what action had been taken in the matter. "This petition shows shocking inaction on the part of relevant departments of the Union of India. . .What is pointed out by this petition is that the 1st Respondent, who is a foreign national, has obtained a PAN card. Further he has opened accounts with two banks, namely, HSBC Bank and Bombay Mercantile Bank. “He has also acquired properties in India," noted a division bench in a recent order. Sanjay Punmiya had filed a petition alleging that Faisal Essa Yosuf obtained a PAN card in his name and bank accounts were opened by him. The HC, on earlier occasions, had asked respondents to hold an inquiry on how the PAN card was issued and take action but no steps were adopted, the bench noted and warned to issue contempt notices against the concerned officers if stern measures were not enforced. The bench headed by Justice Abhay Oka, in a written order, directed a representative of Foreign Regional Registration Office in Mumbai, a senior officer nominated by Joint Secretary, Ministry of External Affairs, and a senior officer nominated by Chief Commissioner of Income Tax, Mumbai, to remain present in court on January 8 with the relevant documents to show action taken, pursuant to the order passed by the High Court on earlier occasions. The bench also ordered that a report about an inquiry on the issue be submitted before the next date of hearing. During a previous hearing on September 28 last year, government's senior counsel had pointed out that visa was been granted to the first respondent which is valid till December 16, 2018. "Various allegations have been levelled against the first respondent. It is stated that he has obtained a PAN card claiming to be an Indian national. . .All this calls for a very serious inquiry by the concerned department of the Union of India," the HC noted in its order. "The petitioner has done his job by pointing out the alleged illegality committed by the first respondent. “He is not expected to know the details of the departments which are obliged to look into the illegality," the HC noted. "It is the responsibility of the law department of the Union of India to ascertain which departments can look into the allegations made by petitioner and initiate appropriate legal action, if necessary," the court observed. The HC noted that under clause 3 of its order dated September 28, 2015, it had asked the appropriate department of the Centre to initiate an inquiry and submit a report to it. However, no such report has been filed. Besides, the HC order dated October 29, 2015, notes that the Central government has not taken any steps, said the bench. The court also noted that the counsel appearing for the Union government had made a statement on October 1 that though he has addressed letters to various officers of the Central government, no response is received. The HC directed on October 1 that the concerned government departments shall hold an enquiry for ascertaining whether the first respondent has committed illegalities as alleged. "If such illegalities are found, it is obvious that prompt action will have to be taken by the Union of India. “If the court finds that the Union of India has not taken any action, serious view will have to be taken on the said default," the HC had observed in the October 1 order. During the hearing on December 17, the government counsel produced a letter written by the Centre to the respondents to take action as per the earlier orders of the HC. "Inspite of the letter, none of the respondents had any instructions on the compliance," the HC further noted. "In view of clause 6 of the order dated 29th October 2015, this is a fit case where contempt notices are required to be issued to the Chief Commissioner of Income Tax, the Joint Secretary and FRRO, Mumbai," observed the bench. "Senior counsel Beni Chatterjee, appearing for the Union of India, states he will ensure that necessary action will be taken. Only in view of this assurance, we are not issuing any notice of contempt as of today," the bench said. However, the High Court asked the respondents to remain present on the next date of hearing on January 8.